Being known as one of the best skiing destinations in Europe, majority of the tourists visit Austria for its amazing ski resorts. The country is home to Alps mountains with a highest peak reaching 3798 meters above sea level. Yet there are plenty of hiking opportunities also in summer. In spite of this fact, there are lots of other Things to do in Austria. One of them is Visiting UNESCO Sites. Surprisingly there is no natural UNESCO Site in Austria, they only have 9 World Cultural Heritage Sites and 12 additional places still waiting on the Tentative List. 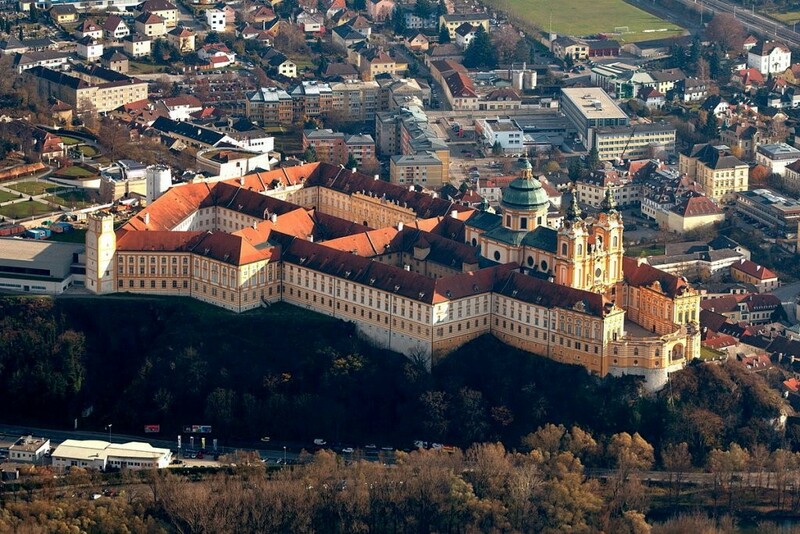 Here is the List of all UNESCO Sites in Austria. 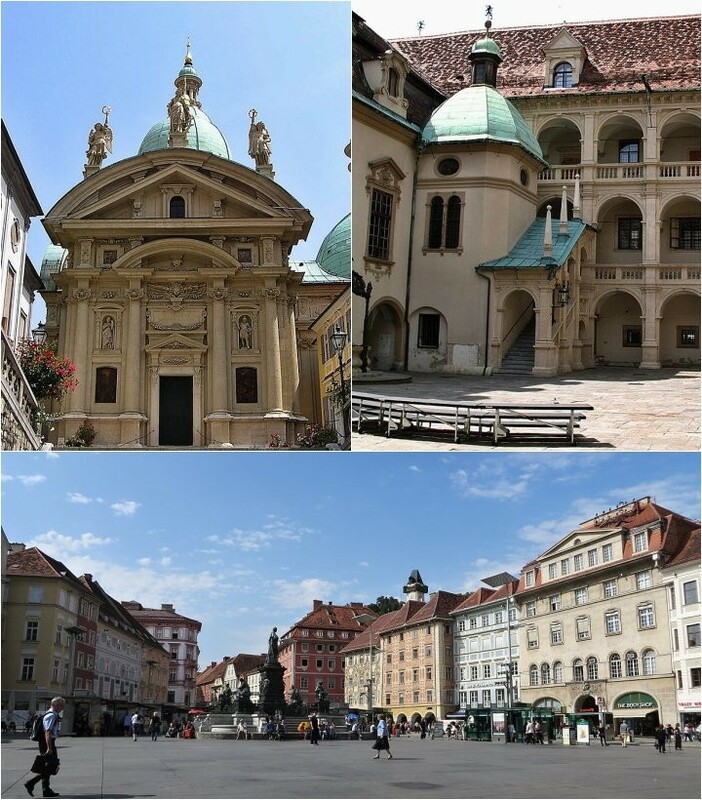 I have already mapped this amazing city in another article – Most beautiful places in Graz – UNESCO city in Austria. Graz and its city center, including Eggenberg Palace standing nearby have all been inscribed on UNESCO World Heritage List in 1999. One of the places where several cultures met during the centuries is the area around Fertö / Neusiedlersee. This part of the country is great also for its unique nature. 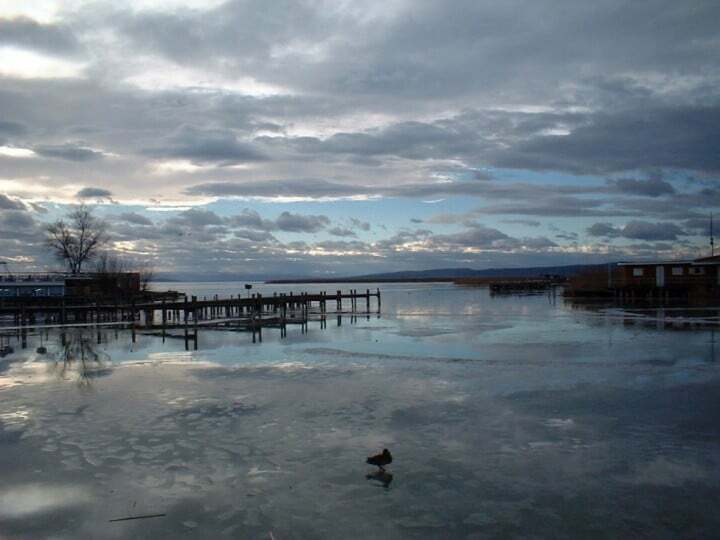 3/4 of the lake lies in Austria where it is known as Neusiedlersee and 1/4 is in Hungary known as Fertö. This area is now paradise for cycling enthusiasts as well as for birds which you can find plenty here. The lake is filled with rainwater only and is usually quite warm suitable for swimming. Its average depth is only 0,6 – 0,8 meters with its maximum at 2 meters. This place is the lowest point of Austria and UNESCO Site since 2001. Humans knew Austrian Salzkammergut already in prehistoric times. Salt has been exploited here since the 2nd millennium BC. 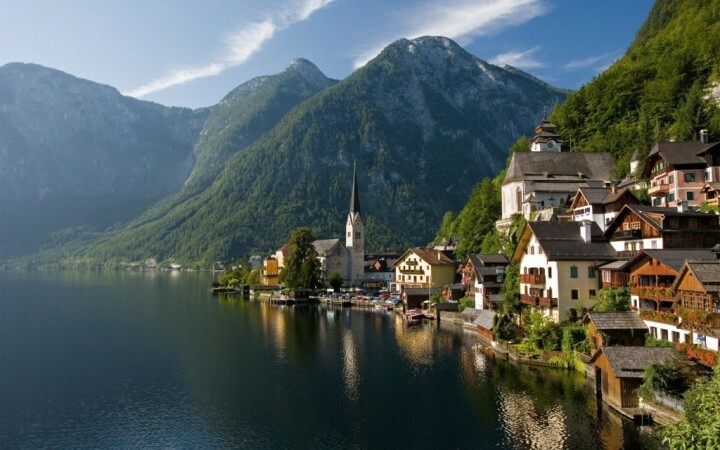 This mineral resource was the main reason for prosperity of the region until the mid-20th century, which is reflected in the beautiful architecture of the local towns, especially that of Hallstatt. In 1997 this area became a part of UNESCO Cultural Heritage Sites. 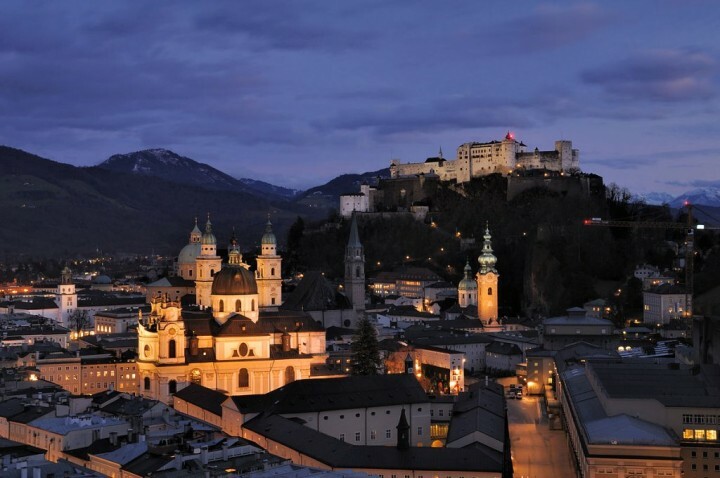 The historic core of Salzburg has been inscribed on the list of UNESCO World Heritage Sites already in 1996. While walking through the romantic streets of the Old Town you can find monuments in all architectural styles. From the austere Gothic buildings, to Renaissance palaces, to Baroque churches, but also numerous houses from the period of the monarchy. The most famous and most visited monuments are all those associated with the life of composer Wolfgang Amadeus Mozart, who was born here in 1756. You can visit his birth house or the house where the artist lived later, or a church where he was baptized. 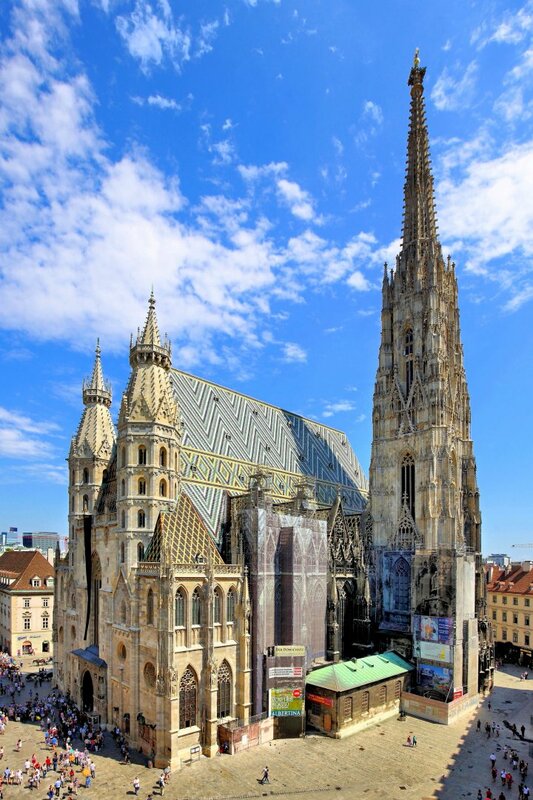 Vienna is the capital of Austria and also its smallest state with about 1.6 million inhabitants. It is a very cosmopolitan metropolis with immigrant communities from around the world. Vienna is situated on the Danube river and is the largest and most important cultural, political and economic center of the Alpine country. Its amazing center became UNESCO Site already in 2001. Vienna acquired the status of one of the best cities to live in terms of the quality of life and fights for the first position regularly with other cities such as Zurich, Munich or Auckland. 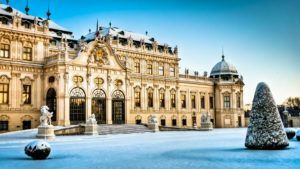 Read more about Vienna in another article – Top Sights to See in Vienna – what to visit in the capital of Austria? Another amazing monument in Vienna is Schönbrunn Palace, which was together with its gardens inscribed on UNESCO Heritage list in 1996. Along with the city center of Salzburg, these 2 places became first UNESCO Sites in the country. 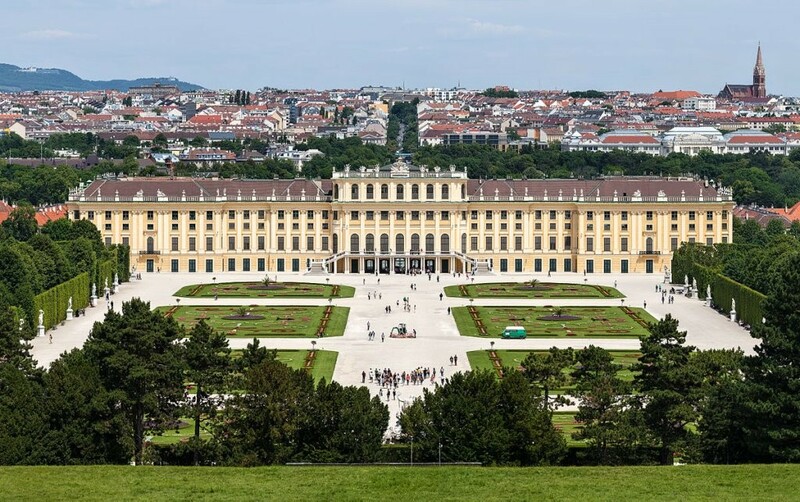 Schönbrunn Palace and its gardens is the most visited attraction in Austria. 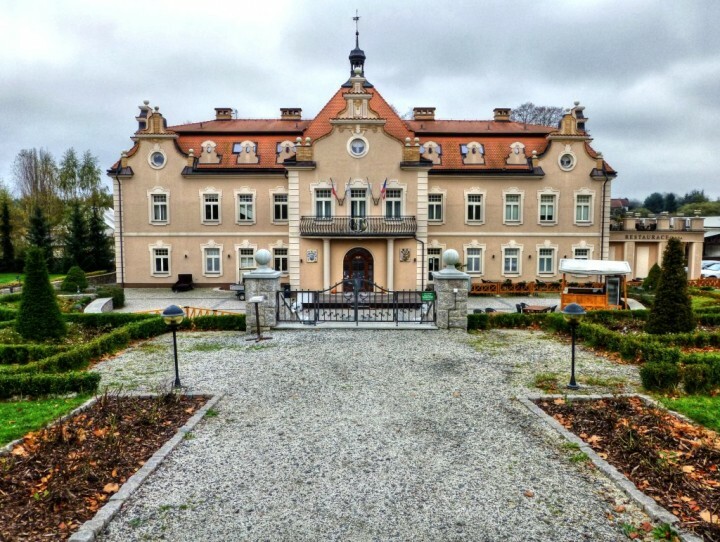 Do not miss this palace and its beautifully furnished rooms once you are in the country! Prehistoric pile dwellings around the Alps, inscribed on the UNESCO list in 2011, are the remains of 111 dwellings from the period 5000-500 BC. 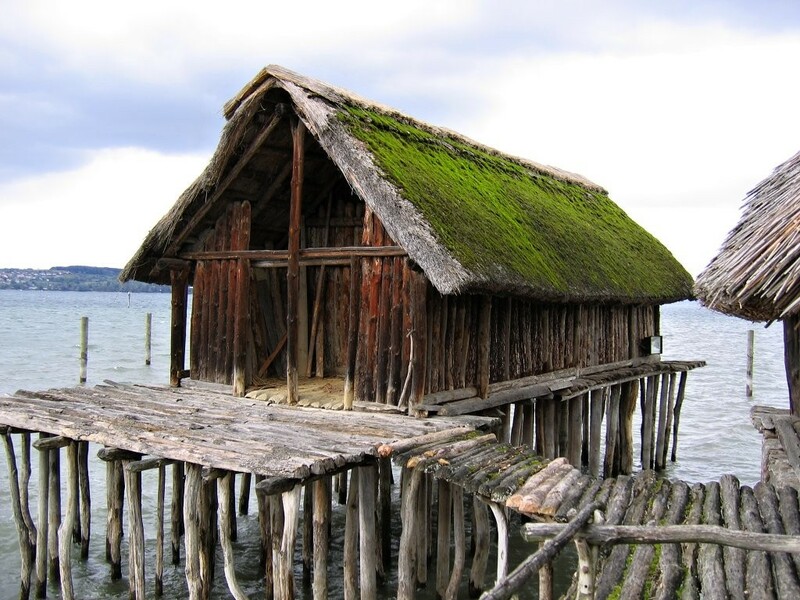 These Neolithic and Bronze Age wooden buildings were built around lakes, rivers and wetlands in the countries such as Germany, France, Italy, Switzerland and Austria. In Austria, you can find them around the lake Keutschacher See in Carinthia state, around Lake Attersee in municipalities of Litzlberg and Abtsdorf, as well as around lake Mondsee (Upper Austria). 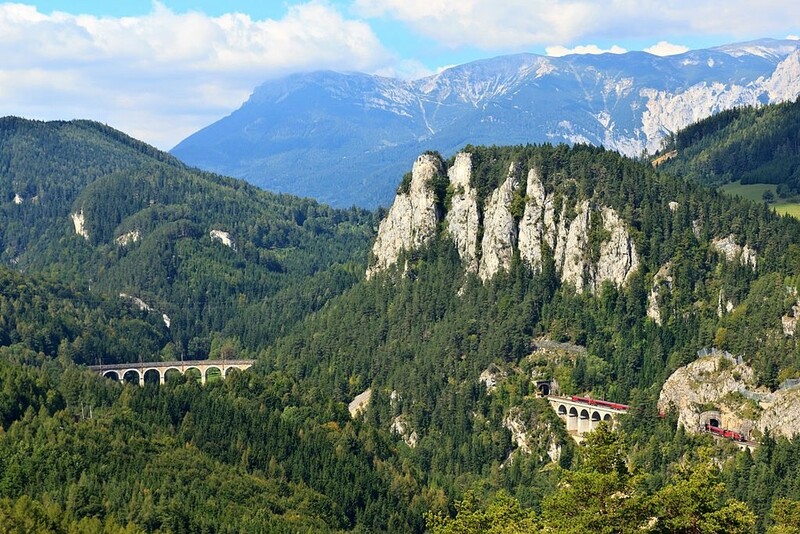 Do you know which of the mountain railways is the oldest one in the world? Of course it is Semmering railway, railways situated just a few kilometers south of Vienna. Being UNESCO Cultural Heritage Site since 1998, the train ride is a big adventure as well as hiking along this railway. 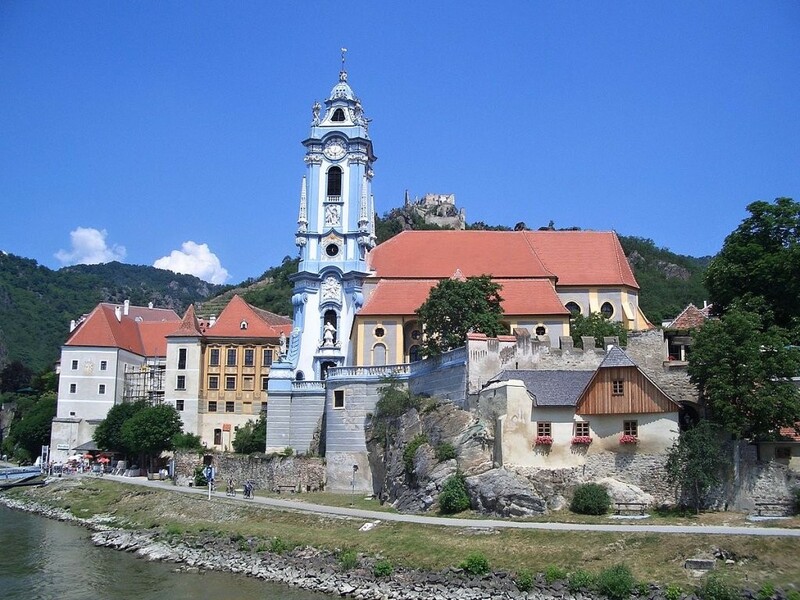 One of the best Things to do in Austria is visiting Wachau Cultural Landscape. Steep terraced slopes covered with vineyards, orchards and woods towering straight from the river bank. This stunning area is made of idyllic wine villages, lying one next to each other. 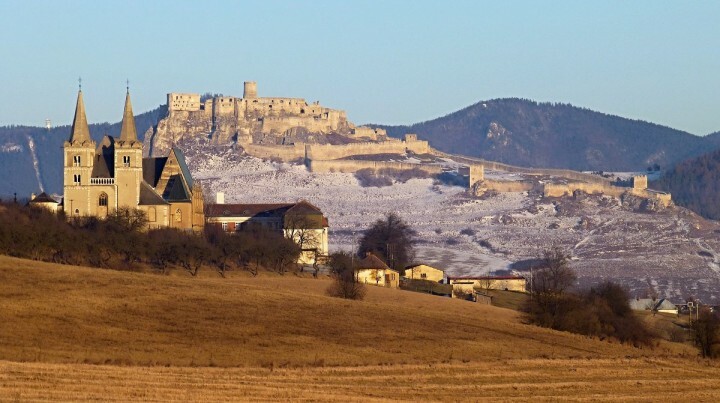 The area is UNESCO Site since 2000 and includes fortified churches and impressive Renaissance dominions, as well as a replica of the Venus of Willendorf, 27,000 year-old fertility symbol. Some of its most popular places to visit include Melk Abbey (the largest Benedictine monastery in Europe) and Dürnstein village with its baroque church and fortress above. 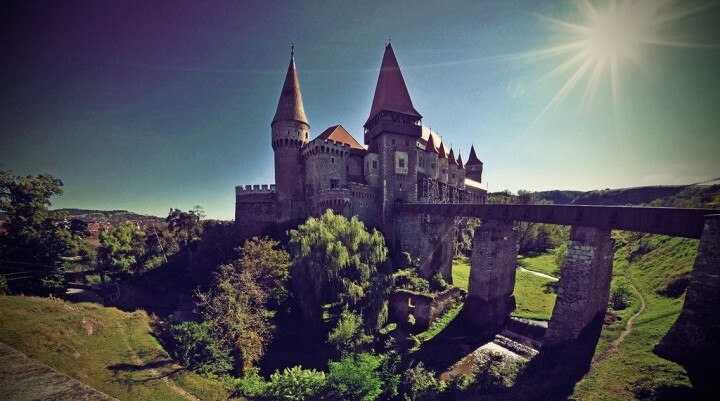 How many of these UNESCO Sites have you already visited? Or do you prefer skiing and hiking holidays in Austria? Let me know below in the comments! I’ll be there in two weeks. Bookmarking this for my trip! Great Stephanie! Let me know then how was your trip! Great recommendations! They look like they would be very interesting and gorgeous places to visit. Thanks for sharing! Oh, they really are! Austria is definitely one of the most beautiful countries in Europe!